Have a question about the site, you may find your answer here. If you don’t find your answer click on the email icon below and send us your question. In the upper right hand corner of all pages within A Radical Guide you will find an ‘Add a Listing‘ button with a ‘ + ‘ (plus) icon, in the main navigation bar. Click on the navigation bar icon and you will be taken to a login page. (Mobile device users will find the account creation option at the bottom of each page, just click on the button, ‘Add a Listing’). Here you have the option to register or sign in. Click on the ‘Register’ tab and fill in the information. Once your information is added, click the ‘Register’ button. A small confirmation will be displayed if successful and the page will refresh. From there you can follow the same steps as above, but instead of clicking the ‘Register’ tab, you will log into your account. How do I post a listing on A Radical Guide? To post a location/listing on A Radical Guide you will need to create an account. If you don’t have an account and don’t know how to set one up, please see the ‘How do I create an account?’ FAQ. Once you have and account and are signed in, click on the ‘Add a listing’ button found at the top of each page. This will take you to the ‘Add New Listing’ page. This will put your listing in the queue for review. Once the listing is reviewed, the listing will go live on the page. If there are questions or incomplete information in the listing, we will reach out to you for more information. Why isn’t my listing showing on the site? If your listing is not showing up on the site there are a couple of reasons why. All listings go through an approval process. This is to make sure that the information is accurate and complete. If we have questions about the information you provided or need more information, we will contact you via the email you used for your account. If your listing promotes racism, sexism, nazism, homophobia, xenophobia, or anything that promotes the destruction or fear of individuals, groups of people, class, gender, etc – your post will be denied. If your listing is under the ‘Eats’ category and is not a family owned, independent, vegan establishment, we will not list it. If you feel the ‘Eats’ listing you posted should be on the site, please Contact Us. How do I set up an interview? Just head over to the ‘Contact Us‘ page and drop us a line. We would love to hear from you and set something up. 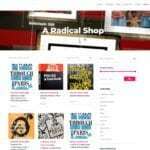 What are the requirements to post a listing on A Radical Guide? There are a few requirements to post a listing/location on A Radical Guide. No plagiarism. Please do not post information and claim it to be your own, if it is not your own. Give full credit and get permission, if needed. If it is an existing, active location make sure it’s not a private location. If the location post their address, etc online or publicly, that is a good way to check. If they don’t, please talk with them and let them know you want to add them to A Radical Guide. Use an active email address when registering for A Radical Guide. We have plans to do special things for people who contribute to the site and we want to be able to contact you. If you are not sure your listing/location fits on the site, contact us and ask. Is there a fee to post a listing to A Radical Guide? No, there is no fee to post to A Radical Guide. Who designed the site's logo? 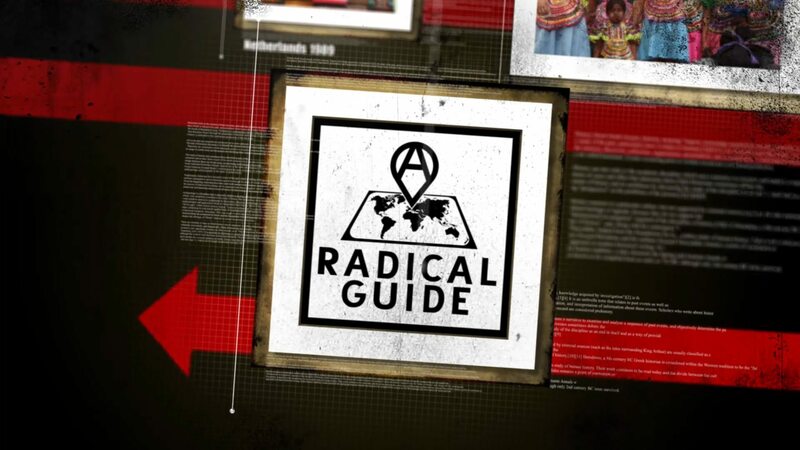 A Radical Guide logo was design by The LastDeviant – Chris Garcia. Chris has been a long time friend and has created logos for my other projects, such as Zombie Popcorn. He is definitely my ‘go-to-guy’ when I need a logo or graphic work and is highly recommended.